Places to see at Bodhgaya: The Mahabodhi Temple and the Mahabodhi tree are the main attractions of Bodhgaya. In 2002, the temple was recognized as a UNESCO World Heritage Site. It is believed that the original Mahabodhi temple was founded by Emperor Ashoka. Various stupas and remains of earlier temples are spread throughout the temple complex. The temple with its ‘Chhatravali’ and an elongated spire crowned by a miniature stupa has a very different appearance. Buddha images are contained in the moldings on the spire, in niches. With the decline of Buddhism in India, the temple almost got lost amidst soil and sand. In late 19th century, it was excavated and restored by Sir Alexander Cunningham, who tried to restore it to its former glory. The temple also houses the holy Bodhi tree and the Diamond Throne. The present Bodhi tree is possibly the fifth succession of the original Bodhi tree, under which Buddha attained enlightenment. The stone platform below the Bodhi tree is known as Vajrasana and is supposedly the seat of meditation of Buddha. A small structure just beside the entrance of the main temple marks the point of ‘Animesh Lochan Chaitya,’ which is the place where Buddha supposedly spent one week looking towards the Bodhi tree. Another sacred area is the walkway called ‘Chankramana’ which is believed to be the place where lotus flowers sprang up, wherever Buddha placed his feet. The Mahabodhi temple Complex also houses the Muchalinda Sarovar (tank) where the snake king saved Buddha during a thunderstorm. Other sacred sites within the temple complex are Ajapala Nigrodha Tree, Ratanaghara and Rajayatna Tree. Bodhgaya is also home to various other monasteries representing different countries like Burma, China, Japan, Thailand and Bhutan. There is also an Archaeological Museum and an 80 feet high statue of Buddha. Rajgir (75 kms from Bodhgaya): Surrounded by hills on all sides, Rajgir is closely associated with the lives of Buddha and Mahavira. The erstwhile capital of the kingdom of Magadha (5th Century BC), Buddha stayed and meditated here. Lord Mahavira spent fourteen years of his life at Rajgir and Nalanda too. 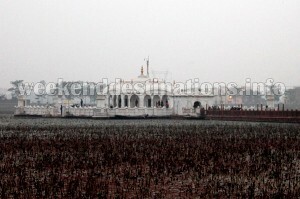 Rajgir is also holy to Hindus due to the hot springs (Bramhakund). The major attractions of Rajgir are the Griddhakuta Hills where Lord Buddha spent many years of his life delivering his teachings. Then there is the peace pagoda, Vishwa Shanti Stupa, the beautiful Ghora Katora Lake amidst the mountains, Bimbisar’s Jail, the Ajatshatru’s Fort, Jarasandh’s Akhara, Cyclopean Wall, Jivak’s Hospital and venuvana. 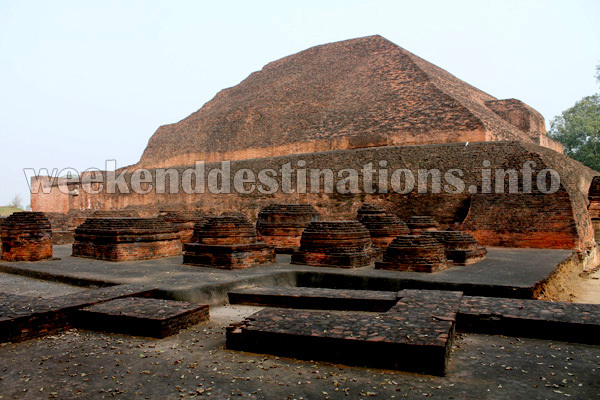 Nalanda (100 kms from Bodhgaya and 25 kms from Rajgir): Nalanda University was founded in the 5th century AD during the reign of the Gupta rulers and supported by later Buddhist emperors like Harshavardhana. At its height, this residential university attracted 2000 teachers and 10000 students from Tibet, Persia, China, Greece and other countries. The Chinese pilgrim Xuanzang (Hiuen Tsang) left detailed accounts of the university in the 7th century. 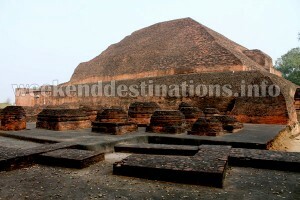 Nalanda was destroyed by Bakhtiyar Khilji in 1193 AD. The great library of Nalanda University was burnt down and monks were murdered in thousands. Pawapuri (94 kms from Bodhgaya and 16 kms from Nalanda): In 468 BC, Mahavira, the last of the twenty-four Tirthankaras achieved Moksha at Pawapuri and was cremated here. It is said that the great rush to collect his ashes resulted in so much soil being removed from the place of his cremation that a pond was created. 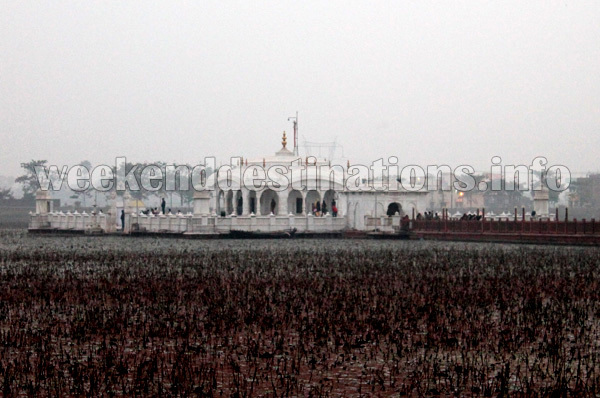 Presently, a beautiful marble temple – the Jalmandir stands in the middle of a lotus pond on a rectangular island. Things to do in Bodhgaya: You can visit the Mahabodhi Temple complex and explore the divinity and history of the place in Bodhgaya’s museums and monasteries. If you have few days in hand, then try to visit Rajgir, Nalanda and Pawapuri to witness the other places associated with the life of Buddha and Mahavira. 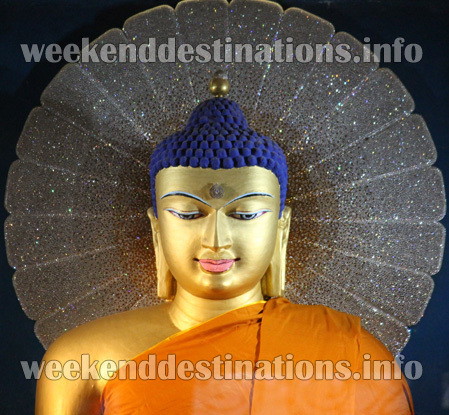 How to reach Bodh Gaya: From Kolkata, you can avail a train to Gaya, the nearest railway station to Bodh Gaya. The journey takes around 8 hours. Taxis and buses can be availed to reach Bodh Gaya from Gaya. 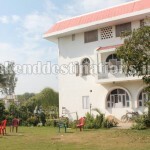 Best time to visit Bodhgaya: Bodhgaya can be visited throughout the year. 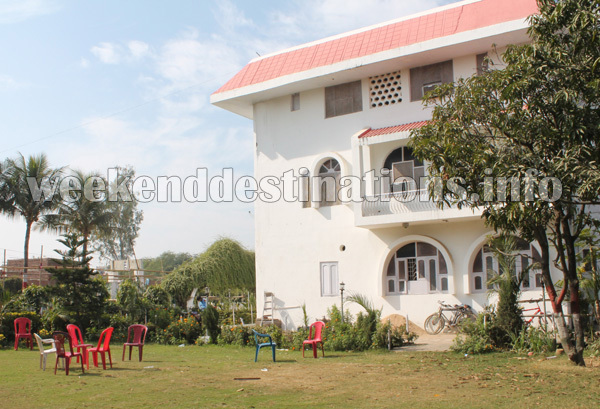 Guesthouse near Mahabodhi Temple: A simple and clean Bed and Breakfast guesthouse in Bodhgaya located 5 minutes walk from the Mahabodhi temple. 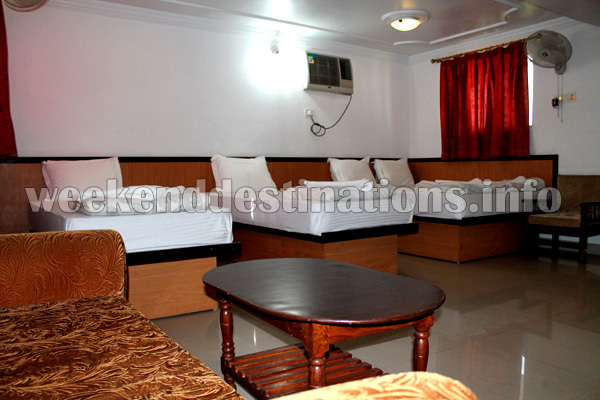 Double Bedrooms, Triple Bedrooms and even six-bedded rooms with all modern facilities like TV, Wi-fi, Car-parking, attached Western Bath, hot water geysers, 24-hour front desk, Air Conditioning, generator and balconies. 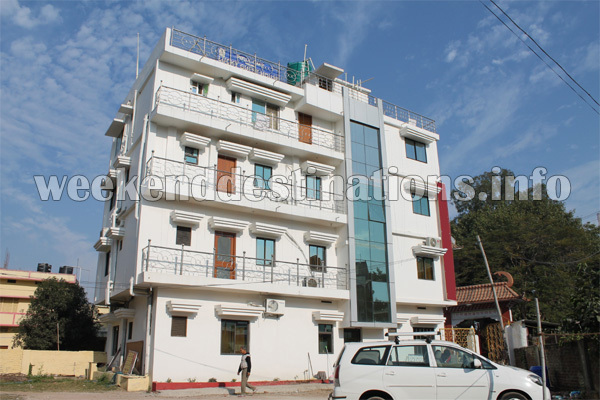 Hotel near the Mahabodhi Temple: With 30 comfortable and well-furnished air conditioned rooms, this hotel has facilities like 24 hrs hot and cold water, Wi-Fi, laundry, 24 hrs room service, vehicle arrangement facilities, TV, gift shop and a multi-cuisine restaurant. Located very near to the Mahabodhi Temple and car stand, it is the perfect choice for tourists who want to visit the temple in any hour. Resort with lawn: With a sprawling lawn and all modern facilities, this resort has more than 30 well-furnished air conditioned rooms, 24-hour front desk, Laundry, Business centre, elevator, multi-cuisine restaurant, WiFi in every room, parking, Television and other facilities. 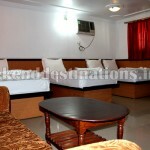 Located close to the Mahabodhi Temple, this hotel is tucked in a quiet corner near the Japanese temple.